I Had to Share a Before and After Photo! 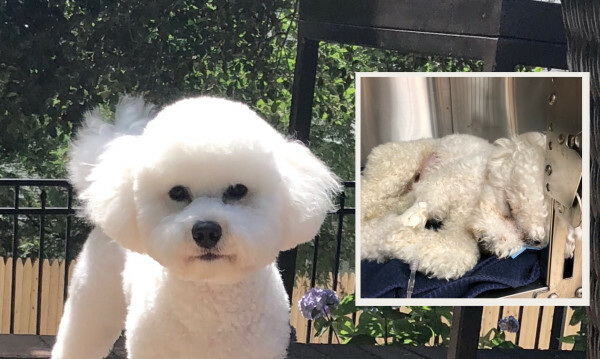 I wrote to you recently with an update on our 1.5 year old Bichon, Luca, but I wanted to share a before and after photos. The inset is Luca in January. He was down to 14.2 pounds (he’s a big Bichon). He was skin and bones and was hospitalized after several bouts of severe vomiting. He almost died. He was diagnosed with IBD with many different cells being found in the biopsies. He was so sick. On top of it all, the weight loss had been happening gradually which indicated he also had absorption issues. He was gaining no benefit from his food. Now the uncontrollable vomiting. My Research Led Me to Dr. Harvey’s-Look at Him Now! Once stable and released, I went on the hunt for the right diet for him. I had always fed him human grade foods but many of the ingredients did not agree with him.Enter Dr Harvey’s Paradigm and look at him now! He is over 17 pounds and gaining (should be 18 pounds or so), full of energy and personality. I mix in eggs, cod or salmon and he LOVES it! He has had no vomiting at all and frankly shows no signs of the IBD at this time. We cannot thank Dr Harvey enough for his guidance and helping us discover the right protocol for our handsome boy. The green superfood is a true winner. 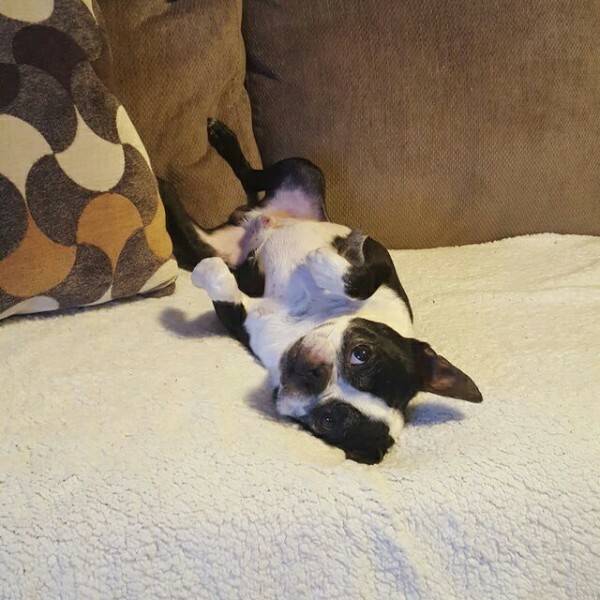 I wanted to take the time to give you an update on our now 9-year-old Boston Terrier, Logan. He has been on your Canine Health Mix since he was 8 months old. 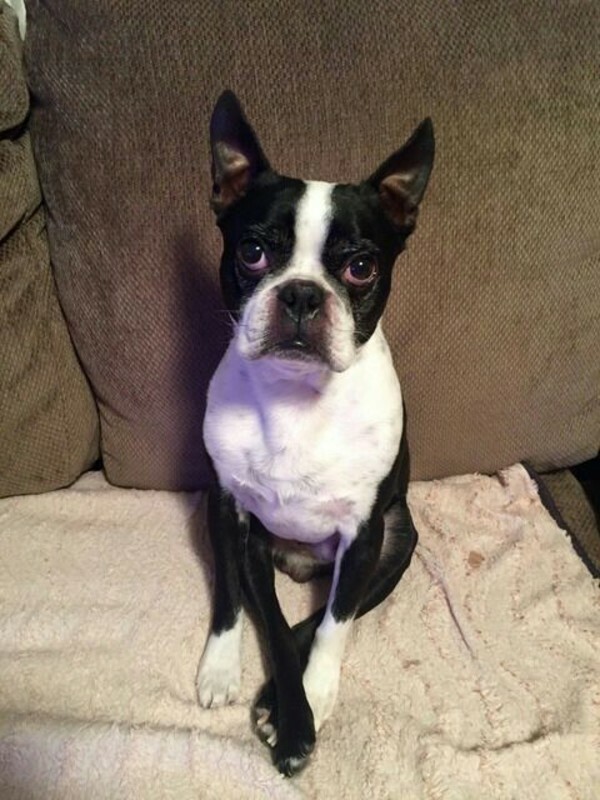 Logan was a picky eater due to his problem with chewing food and having brachycephalic reconstructive surgery. Over the course of his wonderful years and numerous compliments from vet specialists on his form, muscle build, phenomenal shiny tuxedo coat, and of course his awesome personality it has to be all thanks to you and your formula! Being the older “American Gentleman” now, we have placed him on your Golden Years Supplement for the past year along with Coenzyme Q10 as we have been informed that he has a low-grade heart murmur and we can certainly see the difference since starting these supplements! I only hope that others can see the wonders that your formulas can do and have done for my Logan. He’s 9 but really has the life of a 2-year-old pup. Thank you so much for keeping up the great formulas and products, and always sharing your stories, but most of all thank you for saving our Logan and his health. Without you, Logan would be on countless medications! We Always Want Only the Best for Him! Dr. Harvey’s food and supplements gave us hope for Logan when all else failed including vet suggestions. In spite of what the vets want us to feed our fur babies, I honestly believe it is junk food. The motto for nutritionists is “if you can’t pronounce the name on the label don’t eat it!” I firmly believe in that. I hope other pet parents can turn to your products like we have done with our fur baby.